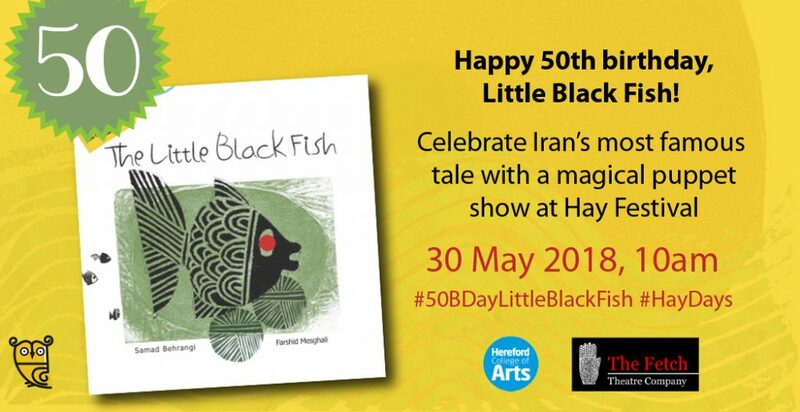 It’s the 50th anniversary of The Little Black Fish, the most well known Persian classic picture book. A big milestone! To celebrate this there will be a special performance of The Little Black Fish at Hay Festival! We provided Hereford Collage of Arts with the classic Persian tale The Little Black written by Samad Behrangi and illustrated by Hans Christian Andersen award-winning Farshid Mesghali. 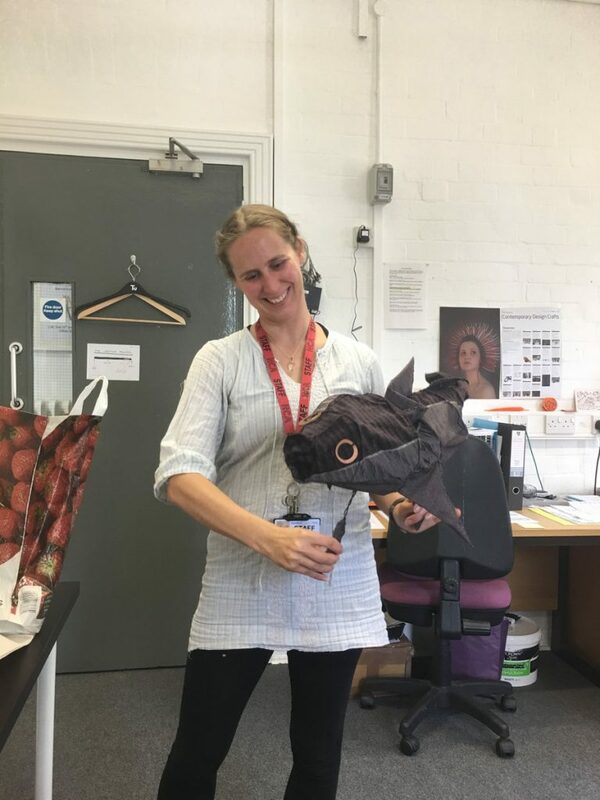 Their goal was to create a thirty-minute performance of The Little Black Fish, using puppets, for children at Hay Festival. Joining up with Fetch Theatre Company, they have created something wonderful. The Little Black Fish tells the tale of a brave fish who wants to know what lies outside the stream he swims in. But, all his fellow fish warn him not to venture far, and instead just to stick with what he knows. The little black fish bravely sets out on his adventure, beginning a story which will be passed down through generations. At the time it was banned in pre-revolutionary Iran as people read it as a political allegory. In short, it is a tale which encourages us to be bold. 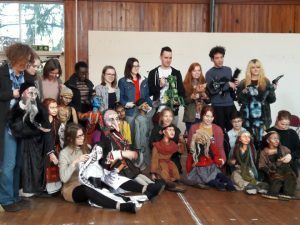 Gillian Hipp has been keeping a fantastic rehearsal diary which she has kept updated on her blog. The diary shows images, and videos keeping everyone in the loop about the process of translating The Little Black Fish to stage. Take a look at some of the wonderful images she has taken; they look amazing! 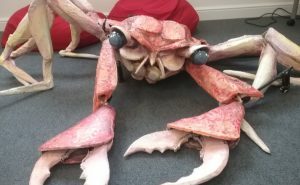 They’ve created two main puppets: the crab and the pelican, which will be performed with performers wearing the puppets themselves. 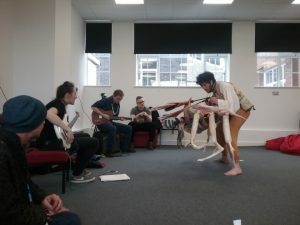 To accompany the performance will be a soundscape created by music students. It looks like it will be a beautiful production, full of fun, creativity and storytelling. 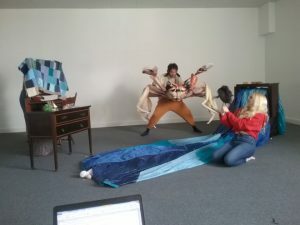 The event will be a fantastic way to both immerse children in a lovely story, introducing them to a classic Persian tale, it will also allow them to engage with material artwork and performance such as puppetry. It’s sure to be one of the highlights at Hay Festival. Keep up the good work guys! The show will be performed at Hay Festival on 30 May 2018 at 10 am, followed by a 50th birthday party! Book tickets here.